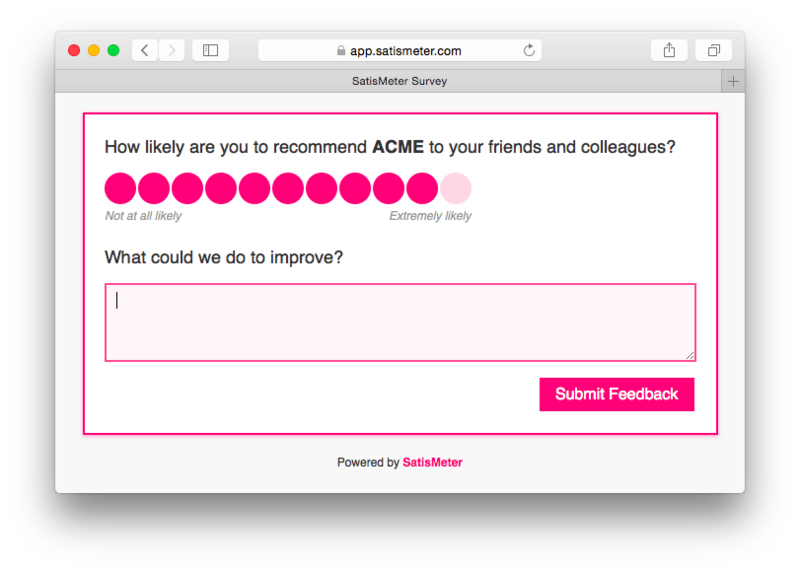 We can send email surveys as an addition to in-app surveys directly from our platform. However some of our customers prefer to use their own customer communication service, so we provide email templates for Intercom.io, Customer.io, Mixpanel, dotmailer, MailChimp etc. 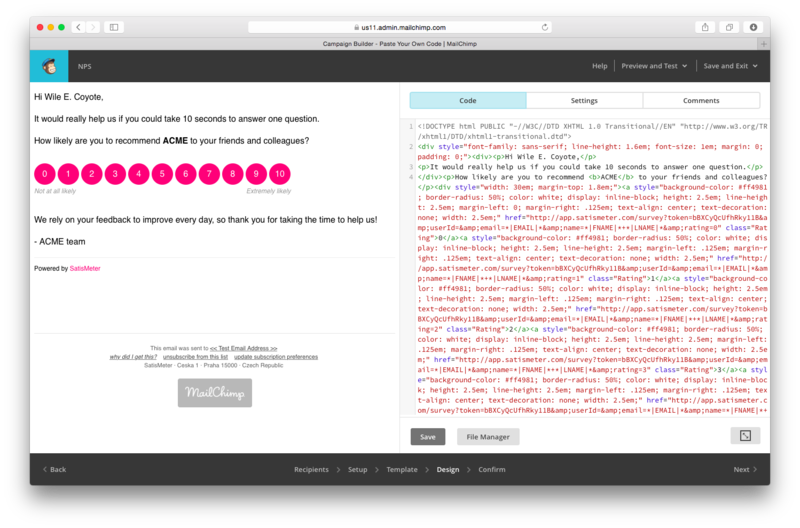 After your NPS campaign is created, your customers will get the email according to the campaign settings. 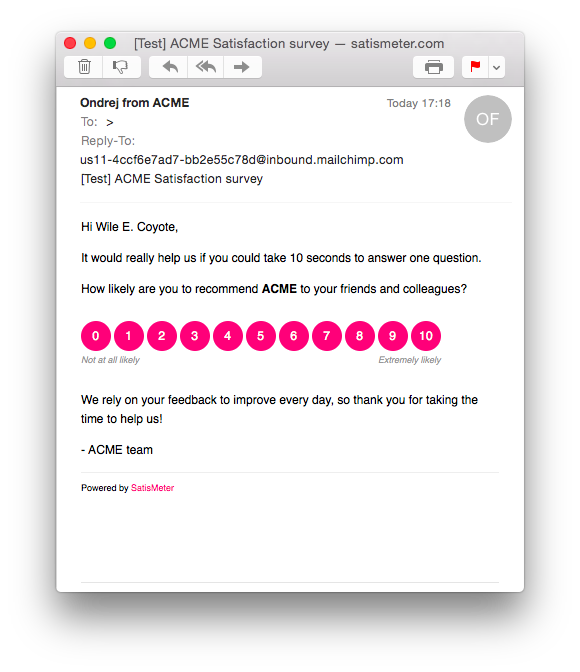 When your customers click on the survey, they are taken to our landing page, where they can leave verbal feedback. You can check the results in our Dashboard, or integrate it into other analytic services. The templates we provide need to be configured with your SatisMeter write key, please contact our support for the template.